From the opening moments of Ultraviolet you know you are listening to something special happening. 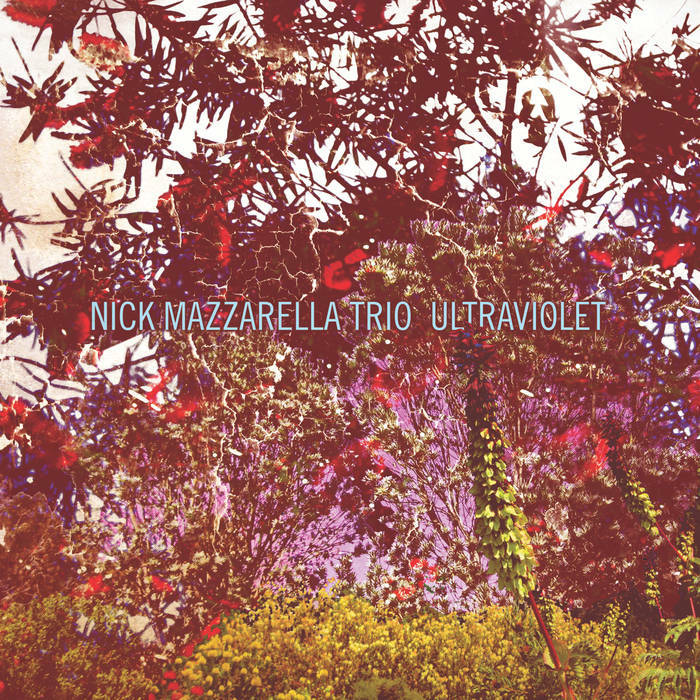 With an approach not unlike mid-period Coltrane in tone, Nick Mazzarella plays with a fearsome intensity. “Neutron Star” kicks off the album with a four note melody that is repeated, transposed up and down and then opens up into some solid free playing. The Chicago based alto saxophonist's trio here includes bassist Anton Hatwich and Frank Rosaly, two players we’ll meet up with again very soon. The stripped down trio is everything you can want - agile, powerful, and exciting. 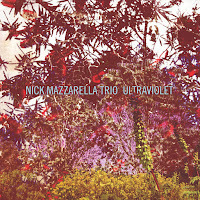 Mazzarella is a powerful player, his tone is focused and precise, and really digs into the grooves. So, here we have some interesting overlap, an earlier version of the percussion quartet included aforementioned bassist Anton Hatch and Frank Rosaly in the line up along. 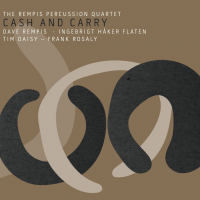 On Cash and Carry, Hatwich is replaced by Norwegian powerhouse bassist Ingebrit Haker Flaten, while Rosaly and percussionist Tim Daisy remain with saxophonist Dave Rempis. Recorded live in 2014 at the Hungry Brain in Chicago, there are only two tracks - “Water Foul Run Amok,” clocking in at 39 minutes and then “Better than Butter” at a mere 15:30. “Water …” starts off with a kick in the teeth. There is a quick count off by one of the drummers and then Rempis’ just explodes. A short theme is repeated a few times and then breaks into an impassioned solo run. Haker-Flaten’s precise pizzicato plucking is powerful and propulsive. However, it’s the percussion that gives this trio both its name and purpose. The two drummers, who can be heard on the the left and right separate channels (not sure whom on which) stay out of each others way while working together to create a dense latticework of rhythms and pulse. 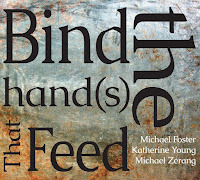 “Better Than Butter” starts differently - the clatter of percussion is joined by the bass in an abstract dance. 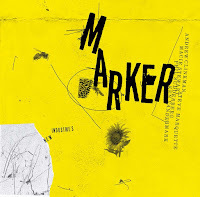 The space between the sounds is the exact opposite from the first track, and when Rempis joins, the approach isn’t full gale force, but rather approachable melodic. We covered Rempis' Chicago Reed Quartet back in the summer, and this fantastic release deserves equal attention. 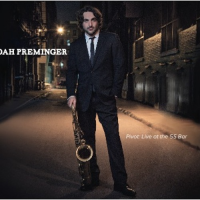 Saxophonist Noah Preminger treat of an album was recorded live at the classic Greenwich Village jazz haunt, the 55 Bar. 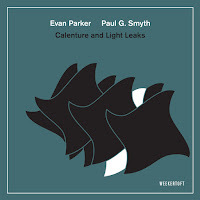 Preminger, whose previous albums seem mine a more modern jazz vein, has opted here instead to deconstruct two old blues: Booker T. White’s 'Parchman Farm Blues' and 'Fixin to Die Blues' in a style that tips it hat purposefully to the harmolodic approach of Ornette Coleman. 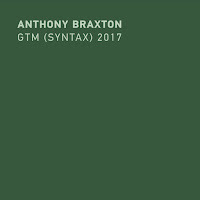 The first track begins with an invocation, a yearning blue note laden melody shared between Preminger and trumpeter Jason Palmer. 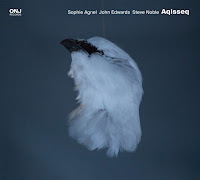 The recognizable blues form is soon is stretched out and in the interactions between sax and trumpet one can hear echoes of Coleman and Cherry. The rhythm section is Kim Cass on bass and Ian Forman on drums and they do an absolutely commendable job in keeping the fields tilled and fertile. The root in the blues and traditional jazz makes the adventure that the musicians go on over the next half hour both accessible and utterly enjoyable. I'm not sure if you can call it blues any more but it sure does become some pretty classic sounding free-jazz. 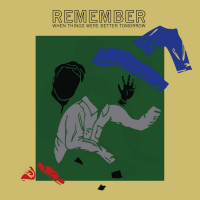 Remember When Thing Were Better Tomorrow is an unusual and absorbing solo album by Jonah Parzen-Johnson. Recorded live on baritone saxophone and analog synthesizer, there are no loops or overdubs, just the sounds of a lone cyborg. Parzen-Johnson opts for simple elongated lines that interact with the pulsations and textures from the synthesized tones. For example, the second track “If You Can’t Sleep, Just Shut Your Eyes” the waves of synth gives the saxophonist a basis to build, with just basic pieces, a hopeful tune. “Never Stop Counting,” the follow up, begins with a more biting sound from the synth. Again, it’s simple building blocks fused with his baritone sax that create the unusual textures. “Eyes Like Paddles” follows, and after a long solo introduction, his accompaniment gets heavy and mixes with his forlorn melody into a dark and moving track. Parzen-Johnson ends the album with a Neil Young song, “On The Way Home” - stripped of it’s chords and rendered on Barri sax, it sounds like a spiritual. I find myself coming back to this one. Dave Rempis has appeared on many great albums this year. Worse for the Wear, Western Automatic, Green Knights (final release by the Engines, interesting liner notes available online) and as a sideman on the final release by Audio One, What Thomas Bernhard Saw. Like I commented on bandcamp, it has once again been a great year for Chicago music.